According to a report by Cisco the average company has over 1100+ Shadow IT applications in use and growing. As the technology and compliance requirements have grown so has the need for companies to understand and map their current cloud state. 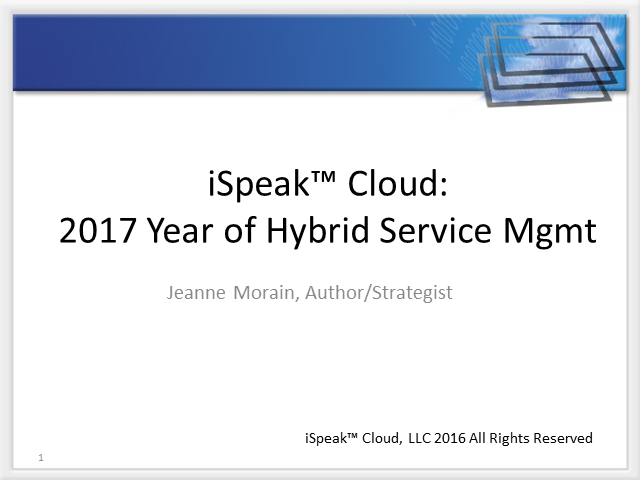 Join Jeanne Morain as she provides insights and prescriptive guidance for building out a Hybrid Service Management strategy to embrace Shadow IT, manage business expectations, and optimize current service workloads.